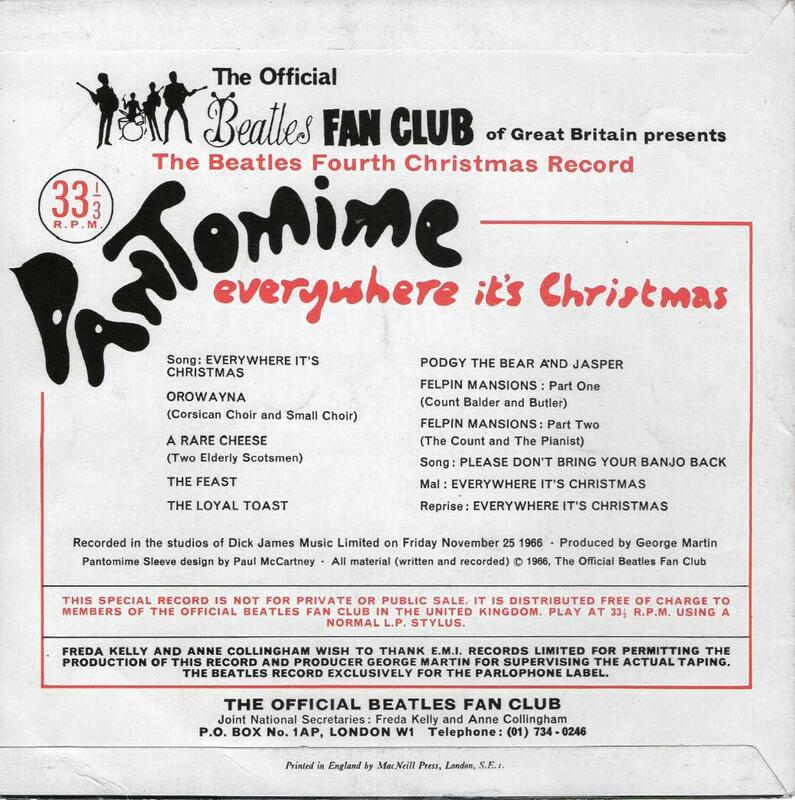 The Beatles Collection » The Beatles Fourth Christmas Record, Lyntone LYN 1145. 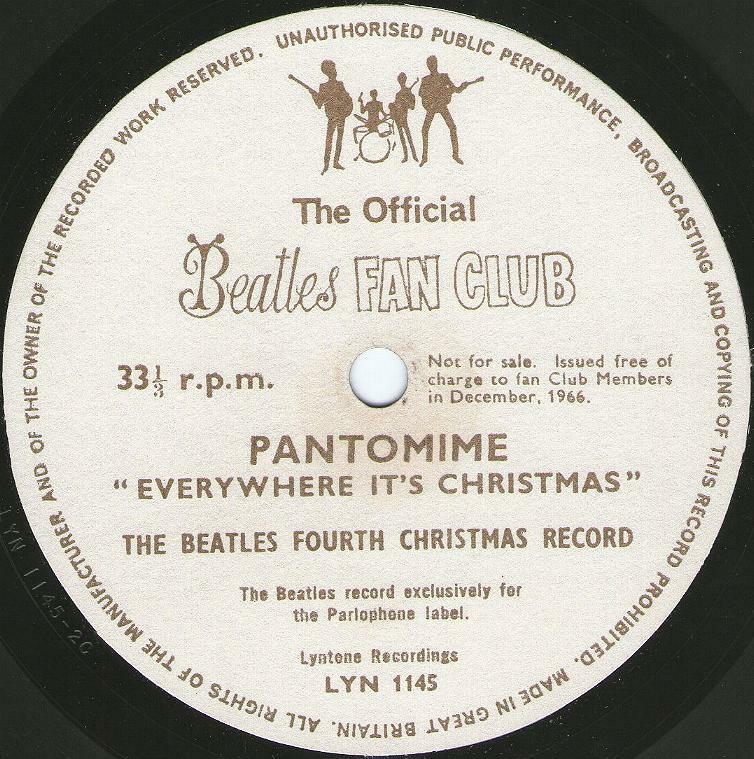 The Beatles Fourth Christmas Record, Lyntone LYN 1145. 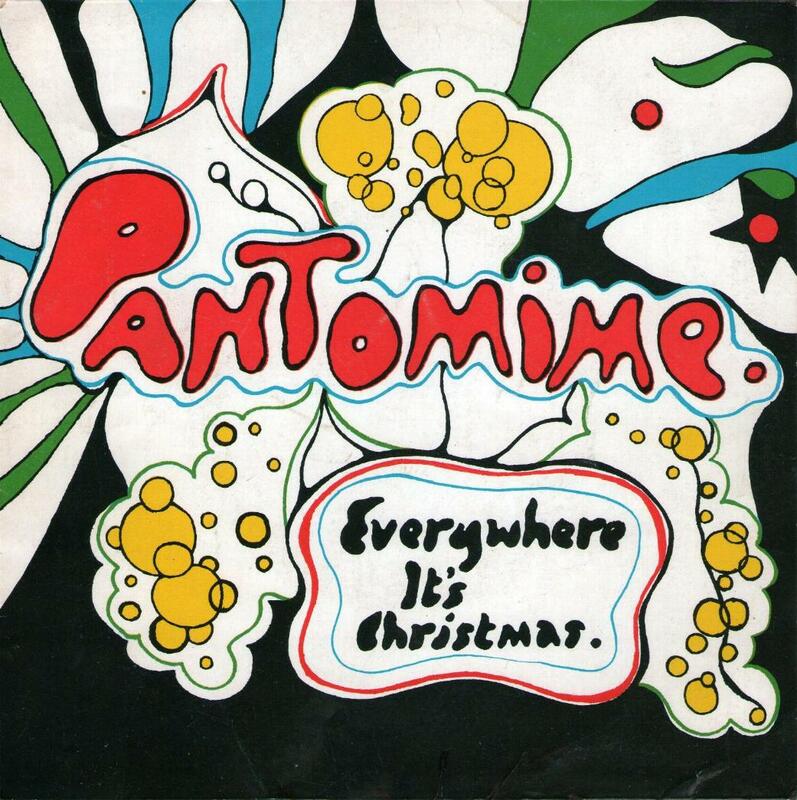 The fourth Beatles Christmas record “Pantomime: Everywhere It’s Christmas” was issued by Official Beatles Fan Club in December 25, 1966. 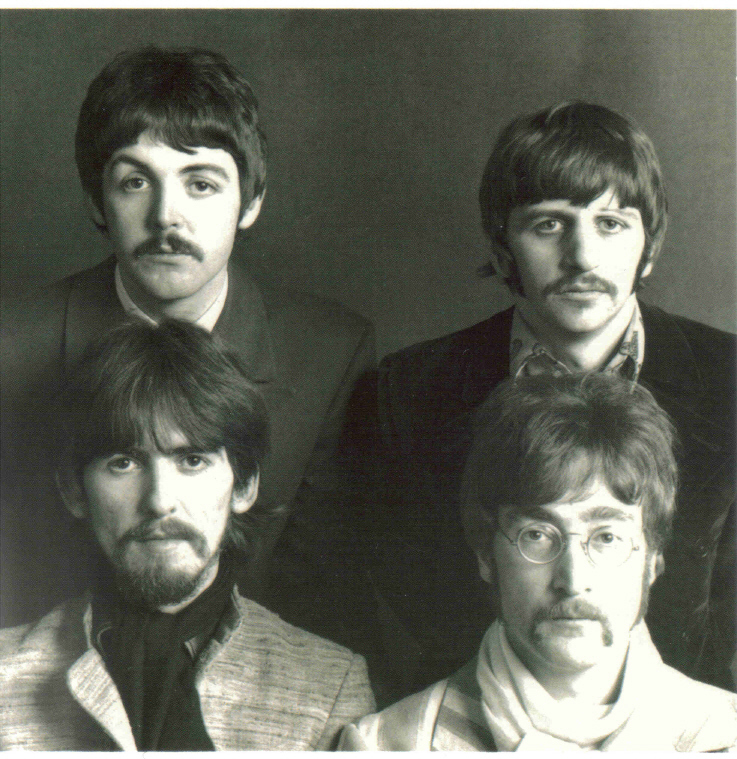 Recorded between sessions for Strawberry Fields Forever, for the 1966 offering, the usual greetings and thanks gave way to a Pantomime – themed collection of original songs and dramatic skits. 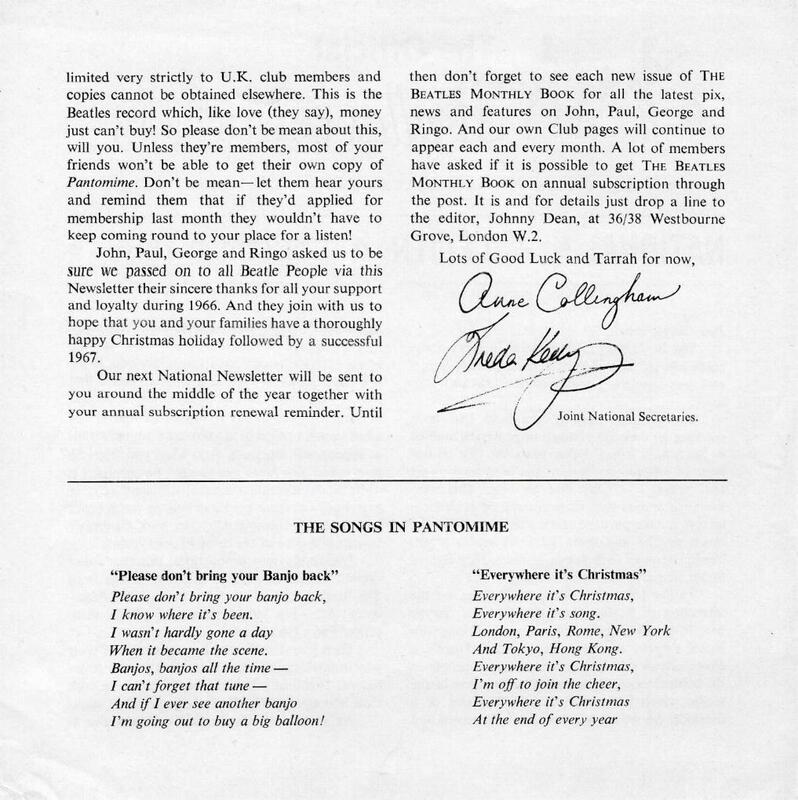 The songs include “Everywhere It’s Christmas”, “Orowainya”, and “Please Don’t Bring Your Banjo Back”. The sketches performed include “Podgy the Bear and Jasper” and “Felpin Mansions”. The disc was packaged in cardboard sleeve printed and made by MacNeil Press Ltd., London. The front is an abstract color painting designed by Paul McCartney. 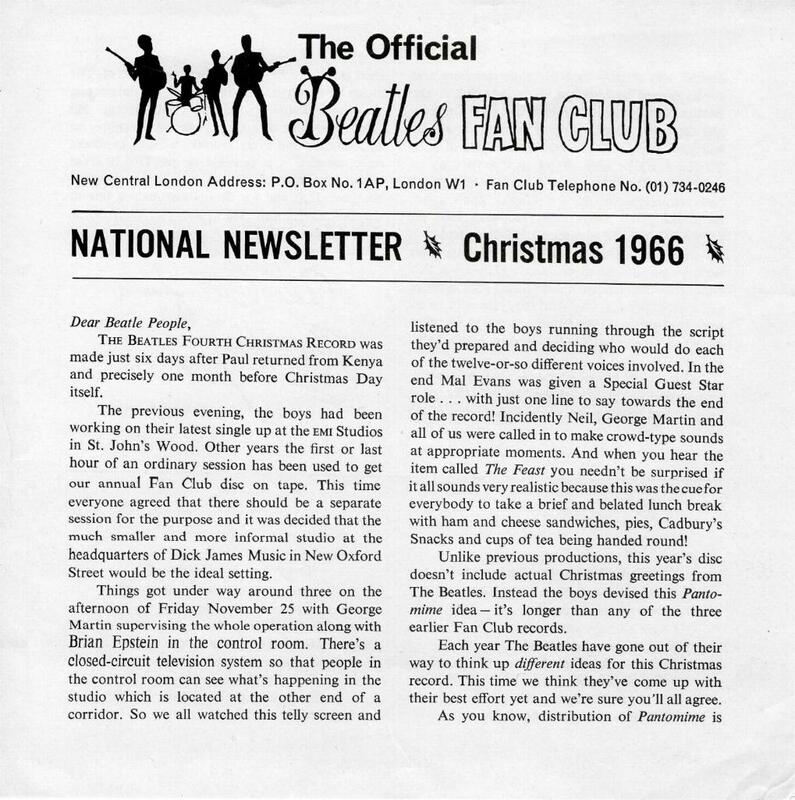 The record was packaged with the National Newsletter for Christmas 1966. The flexi-disc has gold print on a cream label. The record has a running time of 6:36 and plays at 33 1/3-rpm. Matrix number LYN 1145-2C.